"Everybody – whether HIV negative or positive – deserves to be loved and cared for," said Patricia. 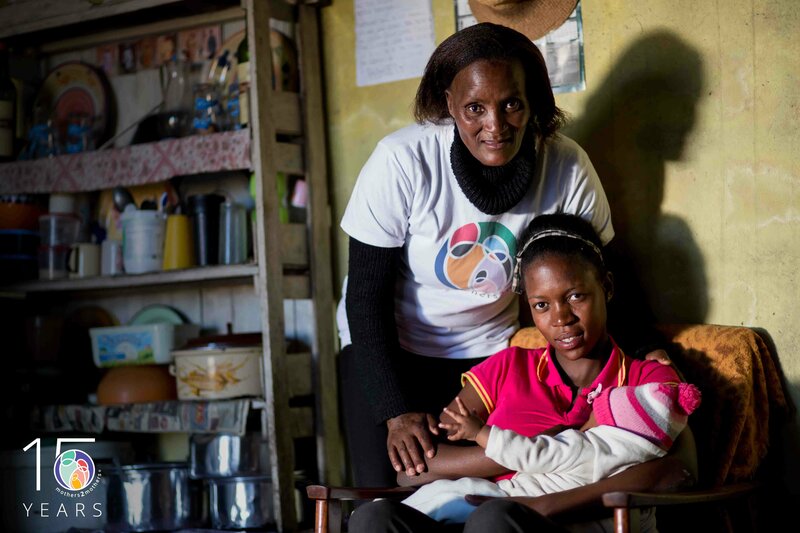 Thabile – a mother of three from Swaziland - is one of the 1.5 million HIV-positive women whose lives have been changed by Africa-based nonprofit organisation, mothers2mothers (m2m), since it began 15 years ago. 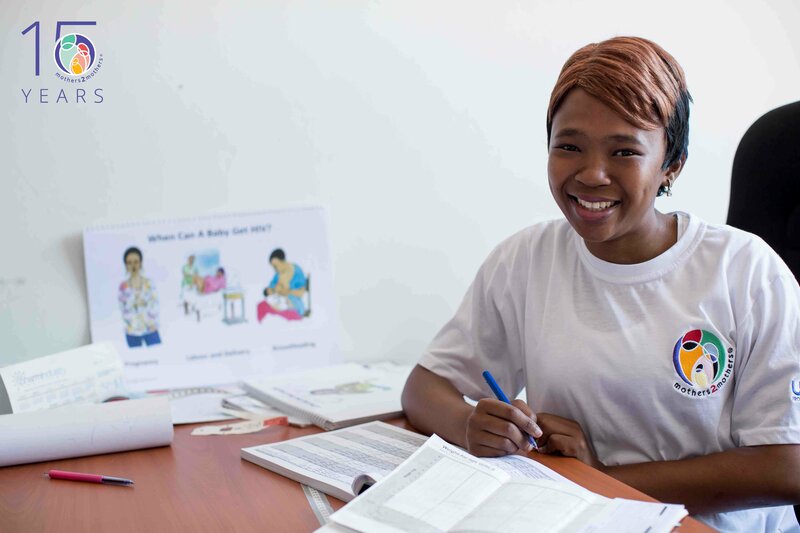 When Thabile visited the Nkhaba Health Centre in Swaziland last year for her first antenatal visit, she did not feel the joy of becoming a mother again. Instead, she feared she would infect her baby with HIV, which she was diagnosed with in 2009. The nurses sent Thabile to meet with one of m2m’s Mentor Mothers — trained and empowered local mothers living with HIV who are employed as frontline healthcare workers in understaffed health centres and within communities. Their intimate understanding of the social and cultural challenges of living with HIV gives them a unique ability to form trusted relationships with women like Thabile, vital to helping them access and stay on treatment for the best possible health outcomes for themselves and their families. “The Mentor Mothers are like sisters to me because when I’m there, I am free to talk anyhow. I get any answer. They give me love, honestly, (they give me) support. They give me everything,” Thabile says. Through the generous support of partners like Johnson & Johnson, which joined forces with m2m 10 years ago, the Mentor Mother Model has succeeded in virtually eliminating mother-to-child transmission of HIV among its clients. It has also been proven to improve health outcome of mother and babies, while also saving significant money in averted HIV treatment costs. After diligently taking all of her treatment, Thabile’s baby son tested negative for HIV. “He is going to live to be a big man and do something better than me and help me as a single mother,” she says. Thabile is not the only story of success. Below are the powerful stories of five more women who prevented their children from contracting HIV through the Mentor Mother Model. Patricia, a former m2m client in Kenya whose biggest fear led her to her biggest passion. When I got tested while pregnant for HIV, what I feared most became a reality: I had the virus. It was the worst moment of my life and I really cried. The journey was not smooth but I knew I was carrying another being in me. My boy’s life was at stake. I thank God and the Mentor Mothers for bringing me through. My boy tested negative at 18 months and that is my pride. I joined mothers2mothers with a passion. Working for mothers2mothers, you meet all kinds of people, and all kinds of situations. Your clients depend on you and they know that when they are in your hands, they are in a safe place. Everybody – whether HIV negative or positive – deserves to be loved and cared for. It is always my pleasure and delight to see children turn out to be negative. 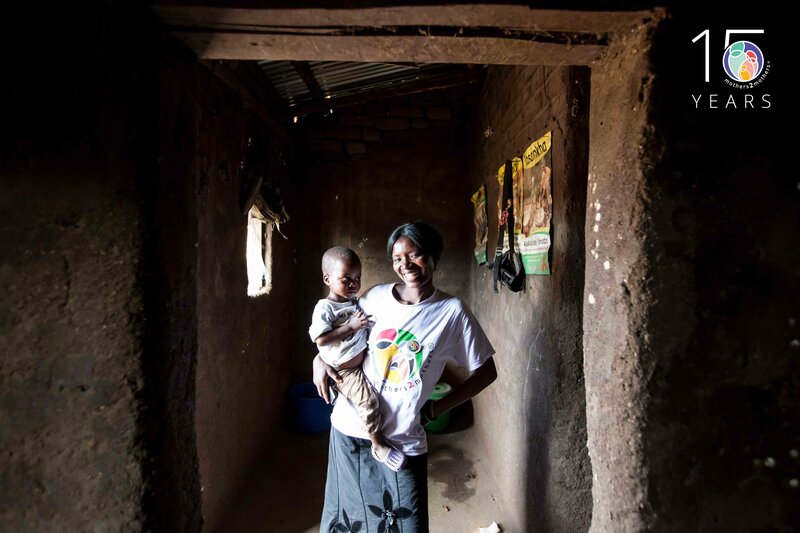 Bridget, an m2m Community Mentor Mother in Malawi, was pregnant with her fifth child when she found hope for the future. I’ve come a long way from the first time I learned of my HIV-positive status. When I received the news, the idea of one day being a living example to other women was the furthest thing from my mind. I was sure that I would not live long enough to see my children grow up. The relationship I formed with Mentor Mothers at the clinic gave me a lot of hope because I understood that I could help my child have a life free of HIV. When I heard m2m was hiring Community Mentor Mothers, I thought about my life and how I had benefitted from the help of a woman who had walked in my shoes and I knew I wanted to do the same. I love interacting with the women from here, checking on how they are progressing while pregnant and providing them with education to keep themselves and their families healthy. Mamahkosi “Mother,” a Mentor Mother in Lesotho. Mamahkosi was HIV positive and penniless. For her, the future was unimaginable. My baby daughter was infected with HIV and when she was three years old, she became really sick and died on my back on the way to the clinic. I returned home with a sore heart. Life was hard. I had no money and no one wanted to be seen near me. But my life changed forever when I was hired as a Mentor Mother. I feel so happy when mothers tell me that their babies have tested HIV negative, which has become the norm. The memory of my child dying on my back lives with me every day, but all the children whose lives we save ease the pain. Everyone who knows me calls me MOTHER. I am a mother, not just to my children but to all the children in my country. I am a mother to all the mothers I meet and to everyone who has joined me in my efforts to do something different. 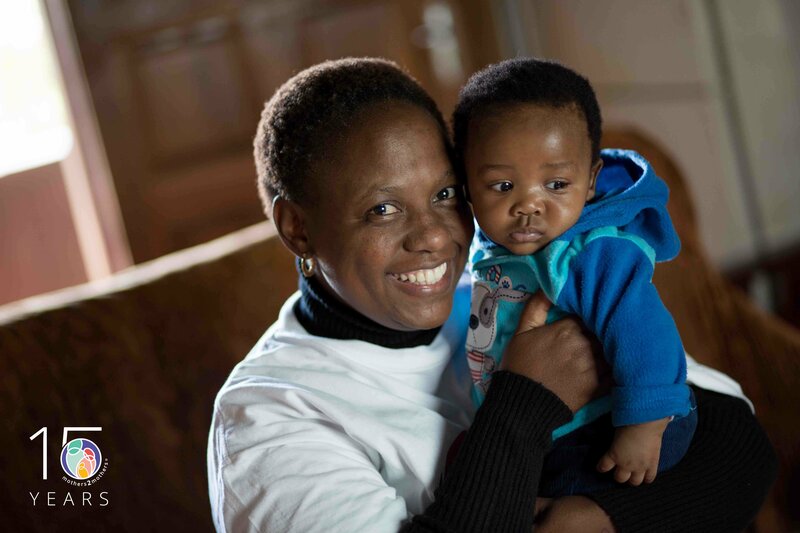 Phumela, an m2m Mentor Mother in Swaziland, tested HIV positive when she was 17 years old and pregnant. For her the stigma was as frightening as the diagnosis. In Swaziland, they still see HIV as this monster, you know. When you have it, you are a nobody. The Mentor Mothers educated me about life with HIV and how to protect my child. I was able to talk to people who really understood my pain, people who knew exactly what it felt like to be unsure of your future. I like being a Mentor Mother. I inspire other mothers that there is life after HIV. We Mentor Mothers give information that some mothers don’t get to know. But they come to us and we tell them our stories and what we know about HIV. We are the example of people who are living with HIV, who are taking medication, who have hope even after HIV. I’m not afraid of HIV because I feel like I am stronger than HIV. Hlengiwe, an m2m Mentor Mother in South Africa, suffered the greatest loss imaginable…the loss of her first baby and then testing HIV positive. My biggest problem was how I was going to tell my in laws, especially because I knew how my mother-in-law absolutely hated people with HIV. She called it “prostitute sickness.” As I already expected, the news had terrible consequences on my relationship with my husband’s family. I was only one of two women who actively got their results and came out about their status. I wanted to do something about that. I wanted to empower women to do what I did — stand up for themselves. My chance came when mothers2mothers was hiring staff for a new site at a local clinic. In the 10 years I have worked with mothers2mothers, I’ve seen a steady decrease in transmission of HIV from mother-to-child. My dream for the future is a world in which women beat all odds stacked against them by HIV and the physical and emotional abuse that it brings. And I want to live in a world where there is zero transmission from mothers to babies. 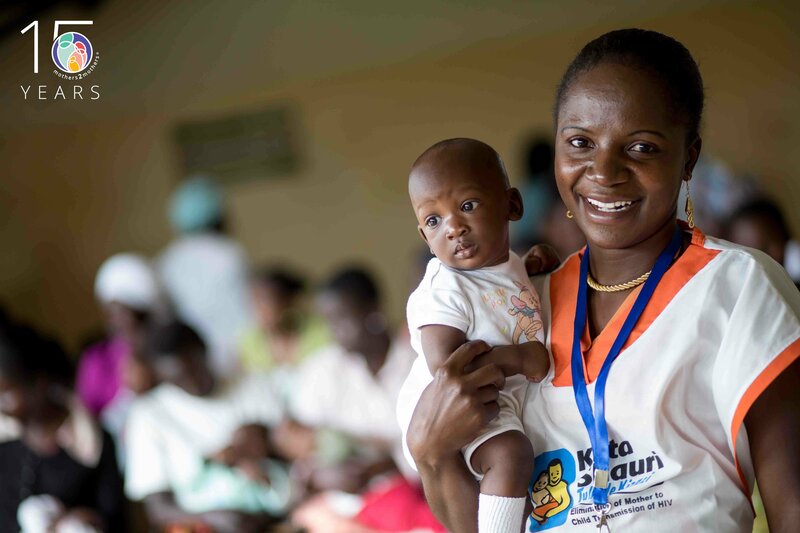 If you would like to learn how you can help HIV+ mothers and their families in sub-Saharan Africa receive vital maternal and child health services to thrive, please visit Caring Crowd. Presented by Johnson & Johnson, Major Partner of the 2016 Global Citizen Festival, and supporting partner with mothers2mothers.